I would like to offer you a couple of tips today regarding the sharing and forwarding of quotes from the nation’s Founding Fathers. “It is impossible to rightly govern the world without God and the Bible.” This was attributed to George Washington. Who never wrote nor uttered it. Because this quote is dubious as well. 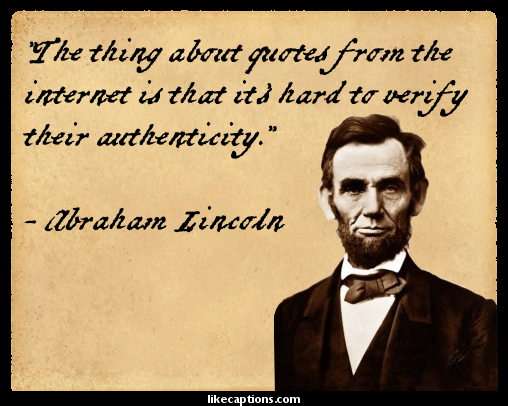 A quick tip: If you can understand a quote by our Founding Fathers without furrowing your brow and feeling a headache coming on, then, good gravity, man, Google that sucker before sharing or forwarding. Those guys wrote funny. They did not use simple declarative sentences and verbs of ‘be’ to express themselves. They did not traffic in simple tautologies. Generally, if a Founder wrote it or uttered it for public consumption, it’s going to make your head hurt reading it. From the first appearance of man upon the earth, down to very recent times, the words “stranger” and “enemy” were quite or almost, synonymous. Long after civilized nations had defined robbery and murder as high crimes, and had affixed severe punishments to them, when practiced among and upon their own people respectively, it was deemed no offence, but even meritorious, to rob, and murder, and enslave strangers, whether as nations or as individuals. Even yet, this has not totally disappeared. The man of the highest moral cultivation, in spite of all which abstract principle can do, likes him whom he does know, much better than him whom he does not know. To correct the evils, great and small, which spring from want of sympathy, and from positive enmity, among strangers, as nations, or as individuals, is one of the highest functions of civilization. It’s not quite the kind of pain you feel when you’ve eaten an ice cream too quickly, but it’s close. It is how you felt when you first read Portia’s mercy speech. And it is how, generally, reading the notions of our Founders is actually like. I think this part of my point has been made. I did want to add as well this: Most of what our Founders offered for public consumption was written down. This is because electronic recording devices had not been invented yet, so there were no sound bytes. Just letters, speeches, treaties, and the occasional historic founding document. This means that it should be rather easy to figure out if a quote from one of them is full of rat-poop. And, if a friend of yours is sharing it on the Faced-book? From bathroom door to urinal to sink and back to bathroom door, I have just witnessed a person take the fastest and most weirdly urgent piss ever. Tonight, Rachel Maddow administers the amnesia meds. This entry was posted in AITWK and tagged Christopher Hitchens by Aaron B. Pryor. Bookmark the permalink.